Carl N. and Margaret Karcher Founders’ Scholarship program. Carl’s Jr.
Submissions must be postmarked by February 15, 2017 for consideration. outside appraisal will also be considered. Oklahoma, Oregon, Texas, Utah, Washington and Wyoming. 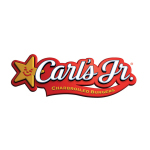 available on the Carl’s Jr. website at www.carlsjr.com/scholarship. restaurants in 44 states and 40 foreign countries and U.S. territories.